Art Hall serves as Calfee's Partner-in-Charge of the Cleveland office. As a member and former Co-Chair of the firm's Corporate and Capital Markets practice group, he counsels publicly and closely held corporations on securities, capital markets, and general corporate issues that affect their businesses. Art’s practice focuses on the representation of public company clients and investment banks with respect to capital raising activities, corporate governance and executive compensation matters and merger and acquisition transactions. His experience includes representing issuers and underwriters in more than 80 public equity and debt offerings, including initial public offerings and 144A offerings, as well as tender offers and exchange offers. He routinely assists public company clients in preparing Securities and Exchange Commission filings, such as Form 10-Ks, Form 10-Qs and proxy statements. Art also advises public companies and their boards with respect to corporate governance and executive compensation matters and provides counsel on fiduciary duties and a variety of federal securities law compliance issues. Art’s practice in this area includes counseling on shareholder activism matters, and he has been actively involved in several proxy contests, including a recent high-profile national contest. 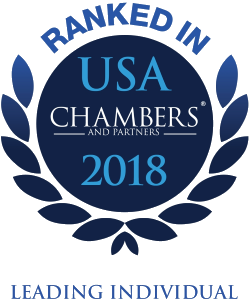 Art has routinely been recognized as one of "America's Leading Lawyers" by Chambers USA, most recently in 2018 for Corporate/M&A. He also has been selected for inclusion in The Best Lawyers in America© (2016-2019) in the areas of Securities/Capital Markets Law and Securities Regulation and named Best Lawyers' Securities Regulation “Lawyer of the Year” in Cleveland for 2019. Prior to practicing law, Art worked as a corporate relationship officer for two money center banks and served as the manager of corporate development for a large energy company. A member of the Cleveland Metropolitan Bar Association, Art is a frequent speaker on a variety of securities and corporate governance topics. He recently chaired a panel at the 16th annual RR Donnelly SEC Hot Topics Institute. Art is a member of the Board of Trustees of the Great Lakes Theater. Art was previously an associate with the law firms of Vinson & Elkins LLP and Jones Day. He joined Calfee in 1996 and became a partner in 2003. He has served as chair of the firm’s Associates Committee, and he is a member of the firm's Management, Practice Planning & Growth, and Diversity & Inclusion Committees. Acted as counsel to Fairmount Santrol Holdings Inc. in connection with two primary Common Stock offerings raising in excess of $480 million, as well as a $200 million secondary Common Stock offering by the Company's largest stakeholder (a substantial private equity fund). Represented a variety of national Underwriters in connection with more than 25 public offerings in the last decade for Welltower Inc. (formerly Health Care REIT), including two common stock offerings in 2014 and a common stock and two Senior Note offerings in 2015. The 2015 equity offering had the distinction of being the largest overnight common stock offering completed since 2013. Likewise, the 2014 offerings were the largest overnight common stock offerings completed by a NYSE-listed company in 2014. Advised several clients, including Agilysys, Inc. and DATATRAK International Inc. in connection with proxy contests with activist shareholders. Recently served as Ohio counsel for a market-leading, highly engaged shareholder in connection with a nationally recognized proxy contest. Represented national Underwriters in connection with multiple debt offerings for Ohio Edison, Toledo Edison and The Illuminating Company, electric utilities and subsidiaries of FirstEnergy Corp., raising more than $1.2 billion. Represented Initial Purchasers in connection with a 144A offering of $400 million aggregate principal amount of Senior Notes of American Transmission Systems, Incorporated, a regulated transmission utility and subsidiary of FirstEnergy Corp. Served as Ohio counsel for entities affiliated with Ohio Edison, Toledo Edison and The Illuminating Company in connection with an approximately $450 million public offering of pass-through certificate in trusts formed in connection with this complicated stranded cost securitization. Represented several clients in connection with establishing U.S. commercial paper programs, including a recent program for a multi-national German corporation. Represented various clients in connection with mergers and acquisition transactions, including serving as local counsel for a number of public company mergers.